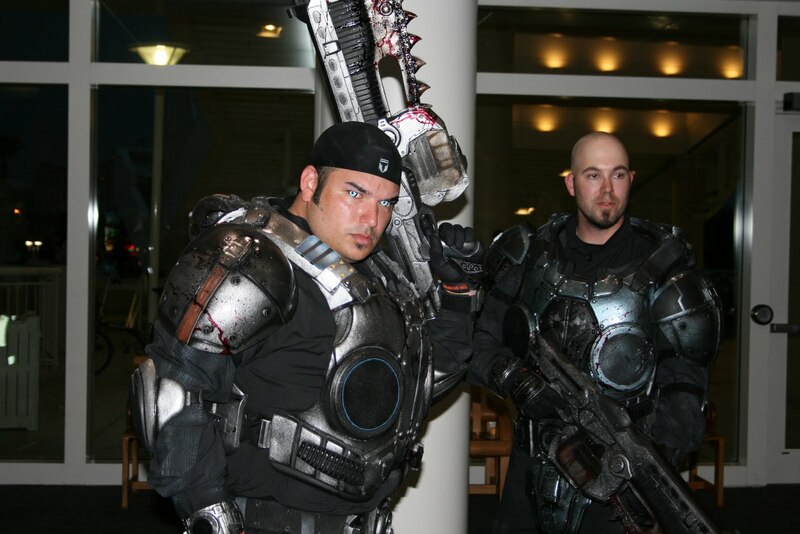 Gears of War 3 is coming out soon enough so I may as well cash in on that momentum and do I post on GOW cosplay right? 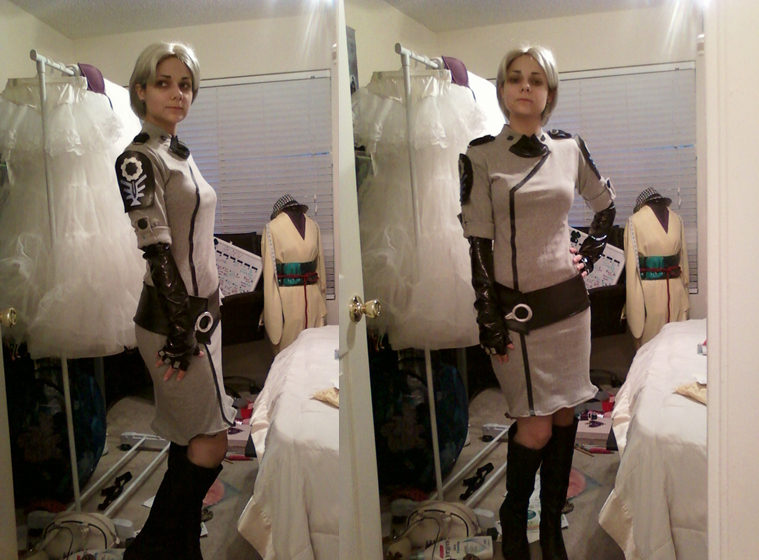 Especially when there's such awesome pictures of of Anya such as the one above! What do love even more is some of these lancer's these cosplayers have - do they steal them from promotional campaigns or do they they make them for the comic cons? Here's a sweet version of Dizzy who played a role early in the campaign of Gears 2 . 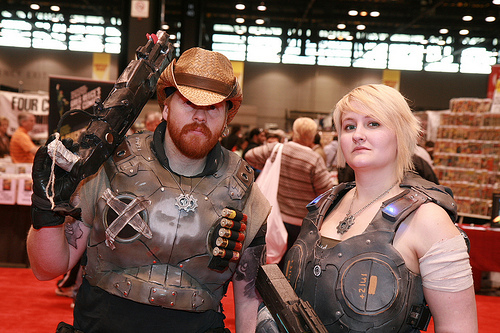 To his left is a female COG. 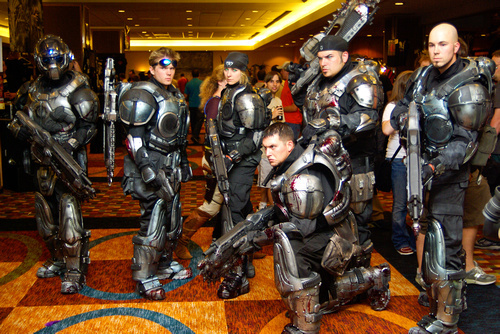 Here's a whole squadron of COG soldiers in costume. The outfits are pretty sweet, yes? 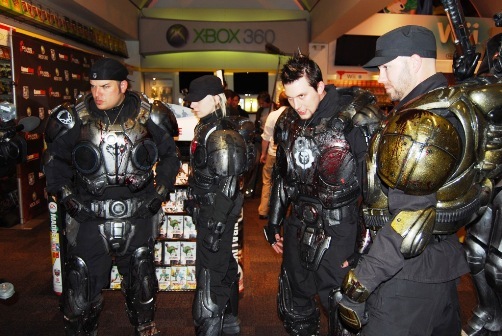 Here's a cosplay picture that's pretty dear to the heart of the Gears of Halo website, a picture of cosplay that covers both Gears of War and Halo by way of these to Gears soldiers and Cortana. 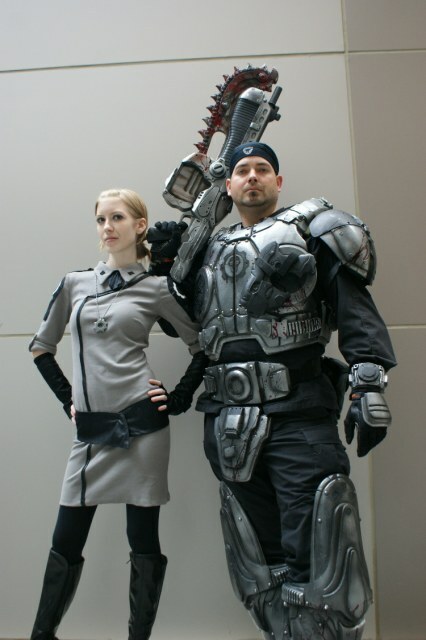 Want more cosplay? Check out some Harry Potter costumes. If you are muggle, check out pictures of body painted Mystique.